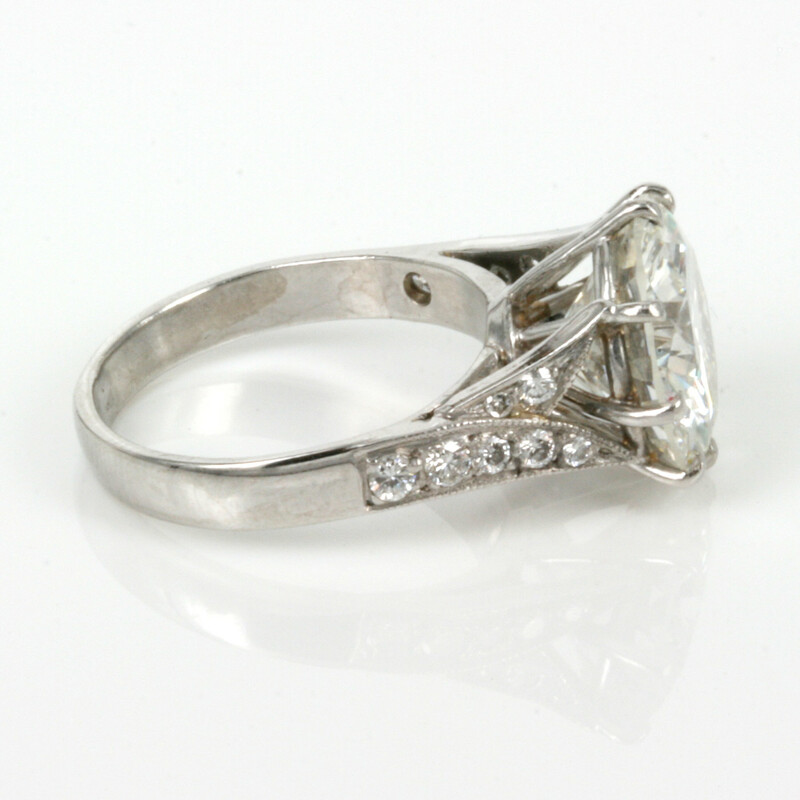 Product code: 1689 Categories: Sold Items, Sold Rings. 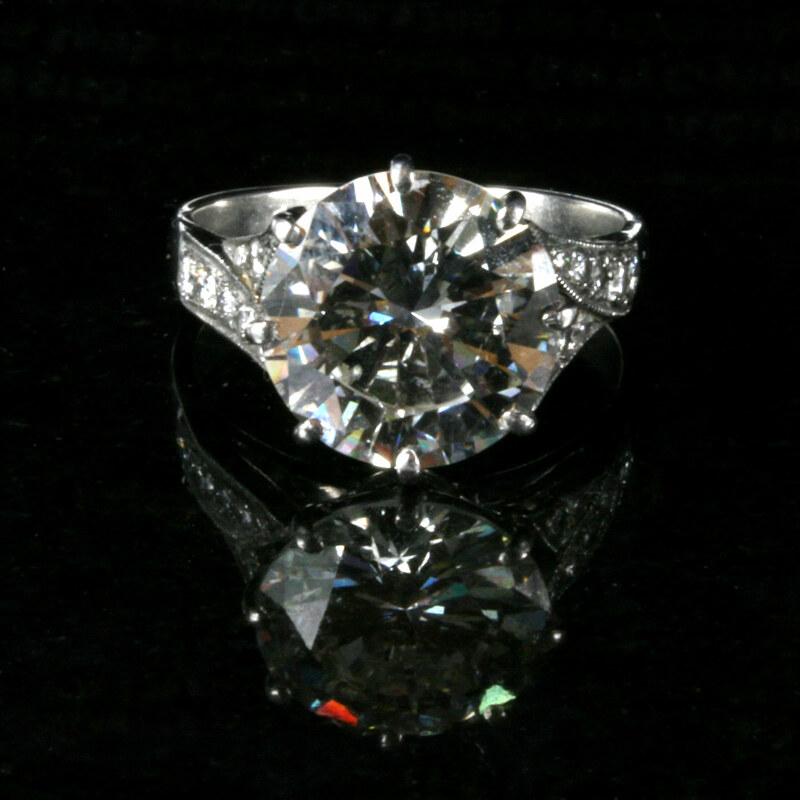 Here is a truly magnificent diamond ring that is a wonderful size. 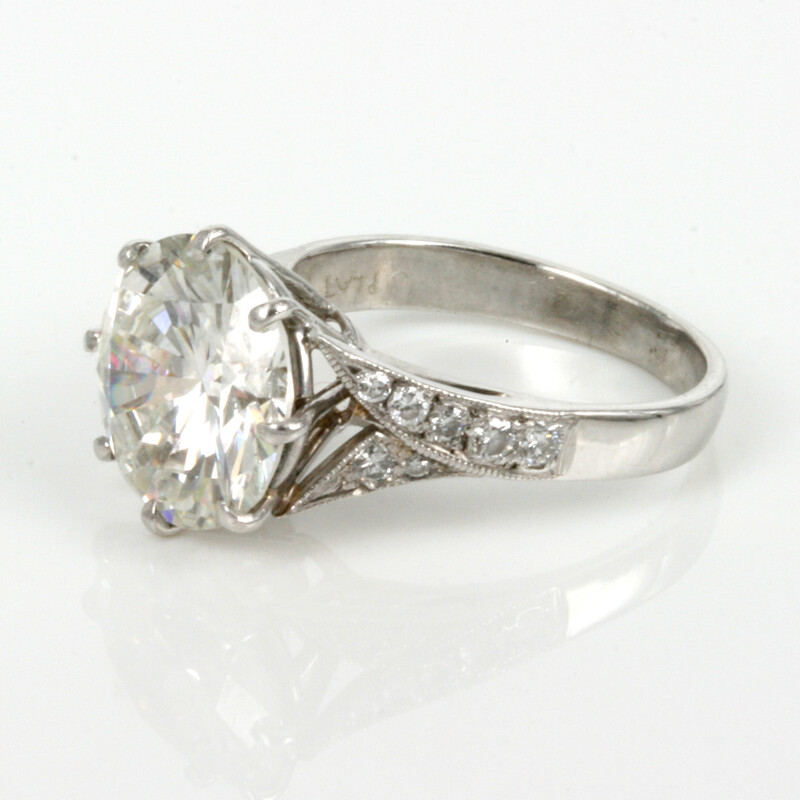 Hand made in platinum, this ring is set with a impressive 5.19ct round brilliant cut diamond that sparkles so wonderfully. 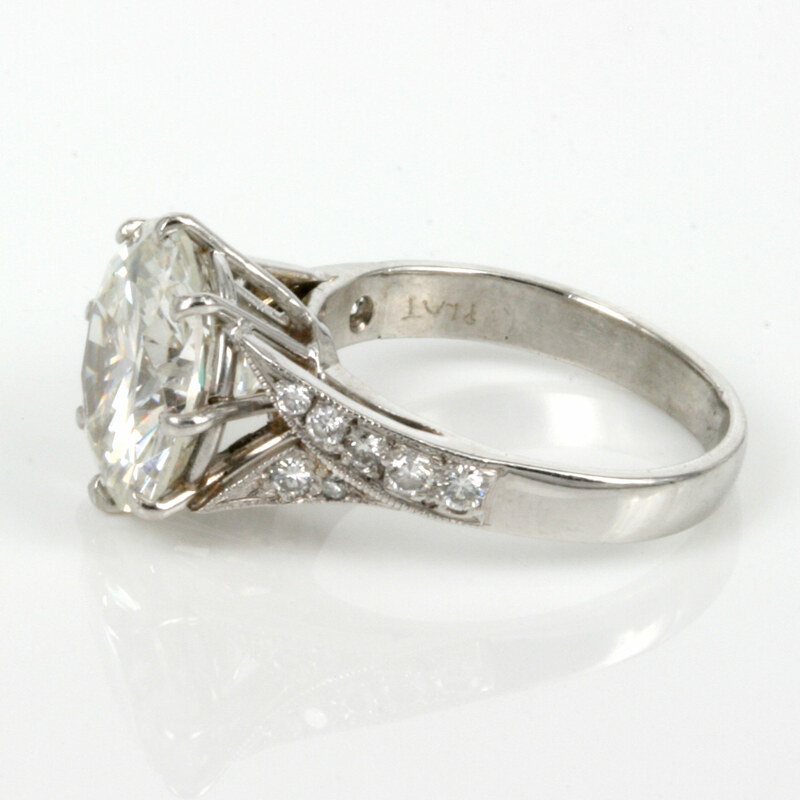 The diamond is a round brilliant cut that is I colour and Si2 clarity and is further highlighted with 7 more diamonds on each side that total 0.28cts. Everyone will agree that any diamond over 2 carats in size is impressive, but having a diamond over 5 carats in size is simply sensational.